Despite what these photos imply (they were taken during a very brief sunny respite), it's been raining non-stop and the weather has seriously been getting me down. S.A.D. is totally real, you guys. I know we're lucky here on the west coast in that we haven't had any snowstorms at all this winter but I'm definitely ready for spring to arrive. 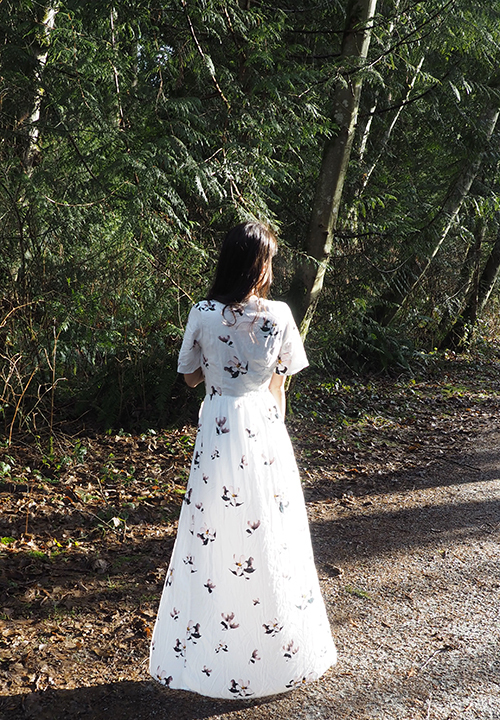 To that end, I've already started picking up some new pieces, like this Emma Floral Maxi Dress from Tobi, which I know I'm going to be rocking once it finally starts to warm up. gorgeous dress! Love the cut and I too am eagerly waiting for spring! Isn't it fun? I'm so ready for some sun!